"Our universities educate us in languages, arts, mathematics, sciences, and social studies. Our companies train us in team building, managing personalities, leadership styles, and so on. However, no one prepares us for the most important activity in our lives: decision making. Decisions define our lives, our careers, our businesses, our family choices, our financial future, everything about us. Make Up Your Mind addresses this neglected but most important aspect of our very being." "In this book, Hal Mooz reveals the secrets to great decision making in all facets of life. This is a book that will help anyone make better decisions. From senior executives to teenagers, from artists to salesmen, Make Up Your Mind will give you the techniques you need to succeed through better decision making. Let Hal be your coach and take your decision–making skills to the next level." Frederick Giarrusso, Stanford University PhD, Decision Analysis; CEO, Stealth10, Inc.
"In his new book, Hal Mooz distills the key elements of a graduate program in project management into a guide for making better decisions that can be used by anyone. After reading his book, I find myself analyzing every decision in a new systematic and rational way. This book will be equally valuable to the family deciding which vehicle to buy, the teenager deciding which college to attend, and the businessperson deciding which direction to take their company. It has changed my very way of approaching every decision I have to make." Roger W. Fuller, cofounder, Maxim Integrated Products Inc.
"Here′s a comprehensive, easy–to–understand guide to how we form judgments from the very analytical to the mostly unconscious and then make decisions. Use this book to learn how you are making judgments. 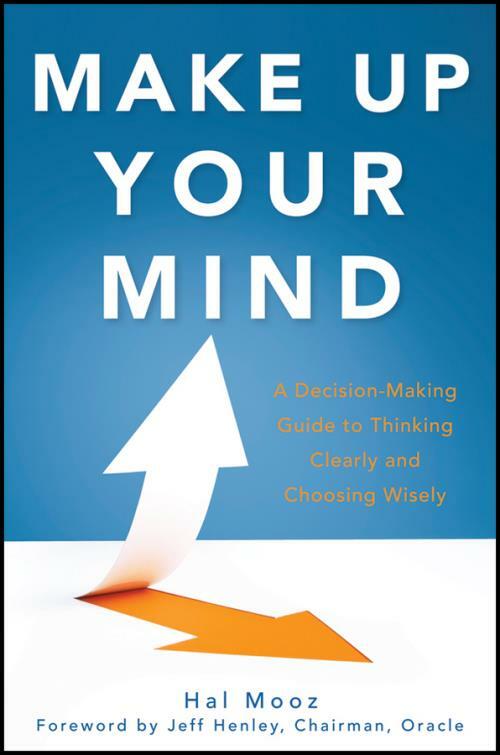 Use this book to improve how you make decisions. There is nothing else like this book on the market."